Chicano NOW! American Expression Exhibit is a 5000 s.f. touring exhibit designed by Wyatt Design Group for Clear Channel Exhibitions. 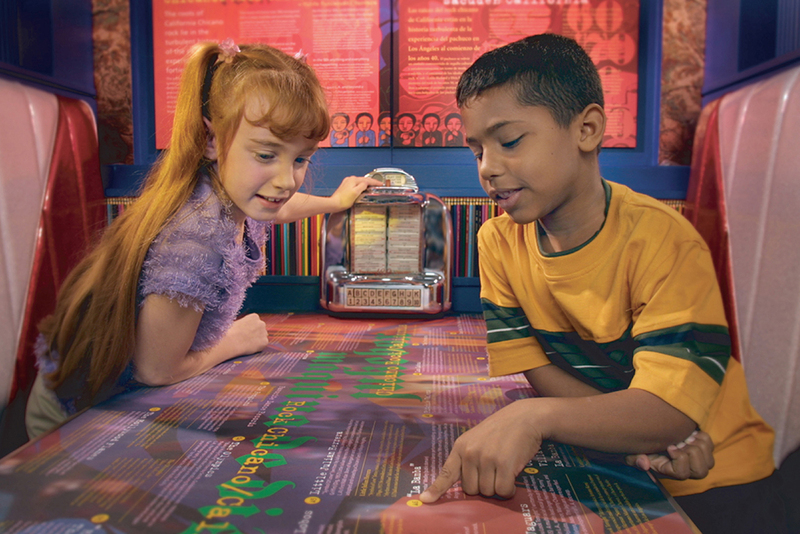 The exhibit showcases video, art, images, and interactive elements expressing Chicano style in America, complemented by touchstones of cultural experience. WDG developed the design from concept through production documentation in conjunction with Clear Channel. With production assistance from Hunt Design Associates, utilizing motifs created by graphic designer Richard Duardo, WDG managed the graphic design process through fabrication. 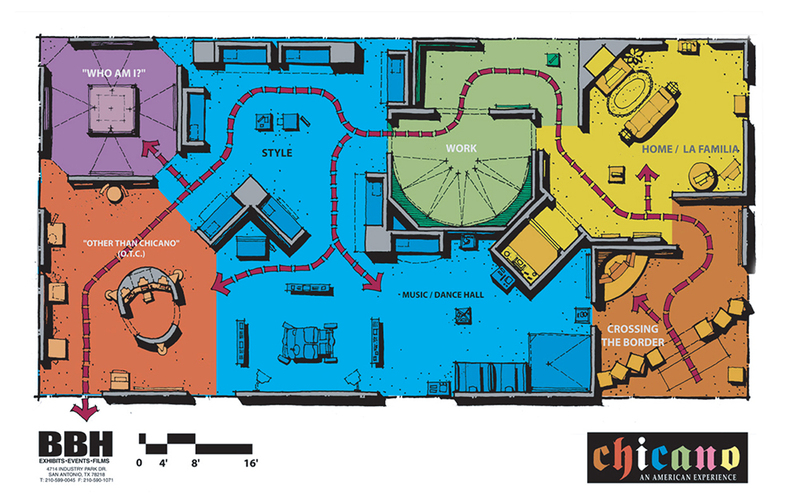 The innovative media experiences included a multiple projector 360º surround film, a dance club floor complete with show lighting effects, a “low rider” motion base simulator, and interactive kitchen featuring comedian George Lopez describing his favorite Mexican dishes. 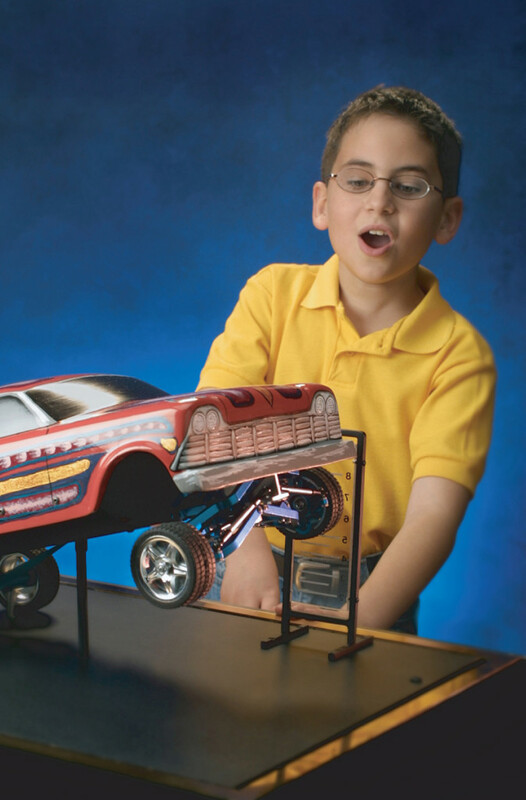 Numerous interactive elements made this a ‘hands on” experience: Low Rider models that test your skill, a juke box with pop music by Chicano artists, and an interactive rocket ship. The Chicano Now! 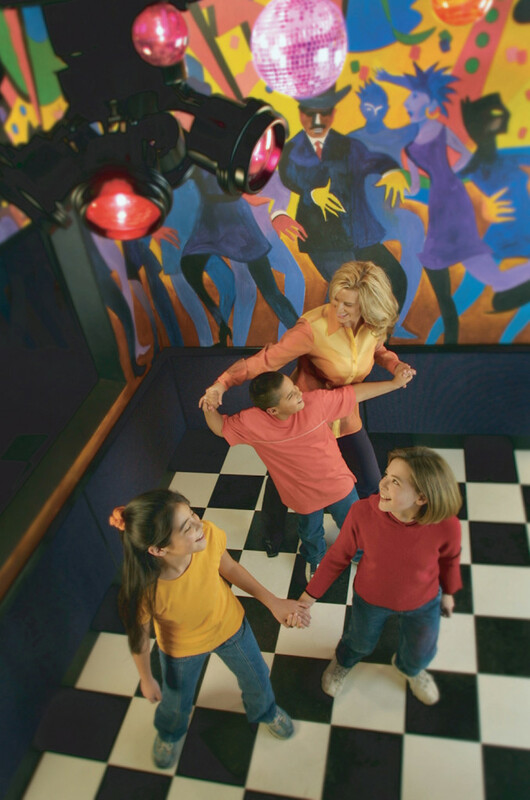 American Expression Exhibit was recognized by the Themed Entertainment Association for Outstanding Achievement in Traveling Exhibits in 2002.